So, what’s a Special Category? So glad you asked that. So, so glad. Well I guess technically I asked that, but you know what I mean. And I’m sure you were wondering anyway. Our pick of Special Categories are pretty broad reaching. We’ve got nominees in areas like Best Music and Voice Acting and Best Graphics for sure. We’ve also got some wild cards like Biggest Surprise and the Biggest Letdown too though. So, you know, there’s some interesting stuff in here. As with most years, there were a bunch of innovative games that hit in the last 12 months. Stuff ranged from titles that shook things up for individual genres sure, but there were a few games that changed the overall landscape of gaming too. And in that way, we have a tie to report! 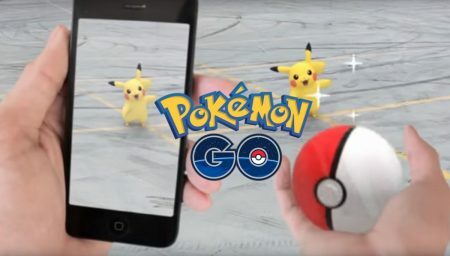 Both Pokemon GO and Overcooked took home the gold for Most Innovative. Overall, the game is fun to pass the time and doesn’t necessarily require loads of attention. You can jump in and out whenever you like and it gets people out of the house. Though, the app is buggy with freezes, servers go down frequently due to massive trainer traffic and it drains your battery since push notifications don’t exist. Great game, but if you don’t mind waiting, give it a couple weeks when trading with fellow players will be introduced. Always an under appreciated element in gaming, great music and top notch voice acting can make a so-so game great. Not exclusively mated, sometimes a game will have a great score, or excellent acting. You don’t usually find both together unless you’re talking about a triple-A title with a budget the size of a major Hollywood production. In the case of this year’s winner, we’re talking about a game that does indeed excel in both categories. And that’d be Uncharted 4. Nolan North is once again phenomenal as Nathan Drake. His performance is every bit as full of personality and life this time around, though ever-so-slightly more muted than usual at times- but don’t worry, it’s fitting for the story. Likewise Troy Baker, Emily Rose, and the great Richard McGonagle are exceptional as Nate’s bro Sam, Elena, and Sully respectively. And a special note goes to Laura Bailey who delivers a terrific turn as Nadine Ross and Warren Cole, who is absolutely fantastic as the slimeball Adler. It’s just a great cast all-around. Everybody’s favorite category, Best Graphics celebrates the part of a game that pulls in the crowds. Yes, it’s true that ‘good graphics don’t make for a good game’, but they don’t hurt either. Honestly though, “good” can actually be in the eye of the beholder to a degree. Remember that retro graphics can be quite effective, depending on the game. Not that that factors into this years choice from our editors and writers. Nope, this year’s winner is looker through and through. And it’s a game that’s been awaited by fans for ages. No, not The Last Guardian – this year’s Best Graphics BGA goes to Final Fantasy XV. 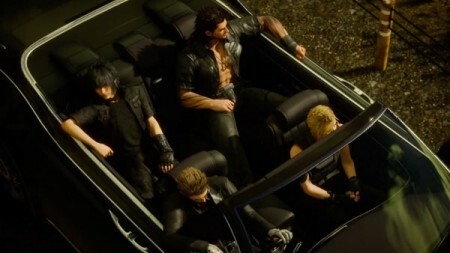 Final Fantasy XV is one of the best looking games I have seen in a long time, maybe even ever. There really isn’t too much more to say for it other than that. The environments all look great and even small things like environmental details and character models look great. What gets you into a game? I mean, really into one. Is it the graphics? The sound design? Chances are that both of those elements get you interested in the first place, and good control helps keep you there and playing. But if a game has a story that goes nowhere, or fails to offer up interesting turns and twists, well then you’re probably not going to be in it for the long haul. And that’s a fact that gets more and more important, depending on how lengthy the game’s campaign is. This year’s winner? It was kind of a landslide. There’s good reason too, as this adventure was an expertly crafted game that’s already gathered a few BGAs. Yep, you guessed it, BGs pick for Best Story is none other than Uncharted 4. There were more than a few times, especially near the close of the game, when I thought something was about to happen just about every second. This trepidation adds tremendously to the overall feel of this last Uncharted game, and is only enhanced by the fact that the game takes you back and forth in time, letting you play as Nate when he was a kid, a younger adult (before the first game), and in the present. You’ll also step into the shoes of one other character, but I won’t spoil that for you either. Needless to say at this point, the story presented here is fantastic. 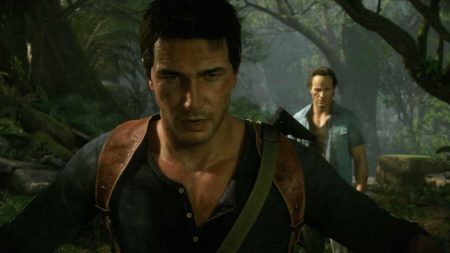 The development team at Naughty Dog has outdone itself, crafting a winding and interwoven tale of back-stabbing that explores familial ties, loyalty, and obsession, all set against a hunt for one of the biggest treasure hordes of all time (and the recovery of a lost city to boot). What was the biggest surprise of 2016 for you? There were honestly a few moments that shocked to one degree or another. But what was your pick? Was it Doom being of the high quality that it was? What about the confirmation of the Nintendo Switch’s home/away functionality? Maybe it was Overwatch completely redefining the multiplayer shooter? All of those could have been our pick for the year, but none of them were. Nope, we went with something a little bigger. Something a little less expected, and something a much longer awaited by gamers. 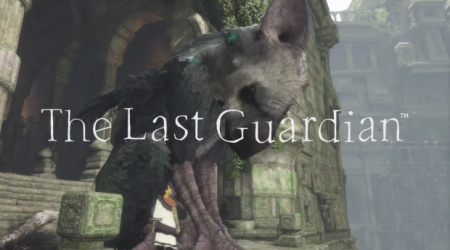 Let us never forget, that 2016 was the year that The Last Guardian finally saw release. 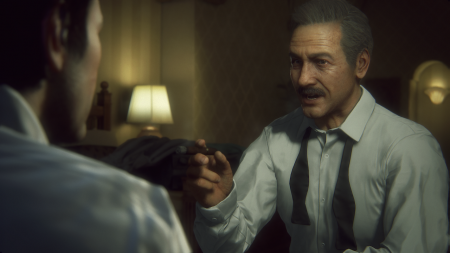 After years and years of promising, and seeing proposed release dates and expected announce dates slip by, Sony’s artistic opus finally came to the PS4. Its launch of course, ended up not being the biggest, or the most impactful. That’s not the point though, because honestly, I think we all kind of thought TLG was going to be another Half Life 3. So, you know, there’s that. Oh boy. Very year brings such wonderful highs in this little hobby of ours, doesn’t it? And yet, each 12 month cycle brings the exact opposite too. Sometimes, those are more impactful to us than the former too. After all, there’s little worse in the world of entertainment than seeing something that you were waiting for turn out to be mediocre… or total crap. And that leads us into our pick – No Man’s Sky. Personally, I haven’t played NMS, and therefor didn’t vote for it. Nope, my pick went to the first runner up, which you’ll see below. No Man’s Sky though, made a monster impression with a good chunk of our staff. So honestly, it must have been a pretty big letdown. 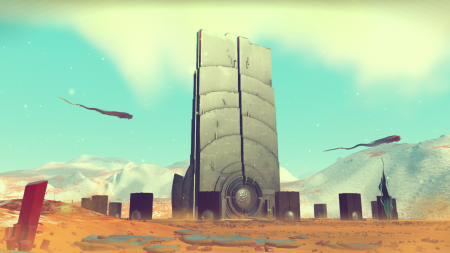 It’s hard not to feel for Sean Murray and the developers at Hello Games. They had a massive vision for this space exploration game, but it was one that was maybe touted a bit too much. And once fans finally got ahold of the finished product, well it wasn’t quite what they expected. Since launch, the game has had plenty of additions, but it really hasn’t drawn in the crowds. At this point, the whole thing seems more or less a non-issue. And that might be the worst thing you can say about the whole debacle. And that just about wraps it up for the second installment of the BGAs! Our last section of categories takes a look at the Platform Bests of 2016, including the over all Game of the Year and the Platform of the Year! Don’t miss it, as it’ll be posting this Friday, February 3rd.